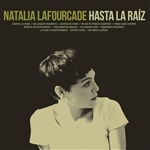 Natalia Lafourcade - Hasta La Raiz (Vinyl) - Imported!! Latin GRAMMY award winning record!!! Includes download card of the LP!! !